You can create simple quilts with the perfect blend of today and yesterday that your whole family will want to cozy up to. The 12 projects include pillows, place mats, table runners, toppers and quilts that will add a certain farmhouse flair that is becoming oh-so popular. Each pattern features easy-to-follow instructions and drawings, plus beautiful color photographs. 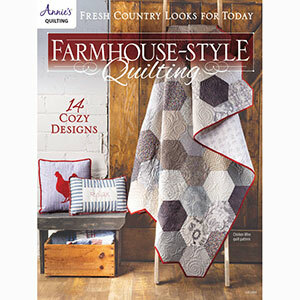 This book will inspire you to beautify your home with quilts! Annie's (2019), $9.99, 48 pages, paperback, AnniesCraftStore.com.